On September 30, 2018, California Governor Jerry Brown signed into law Senate Bill 1235 (SB 1235). 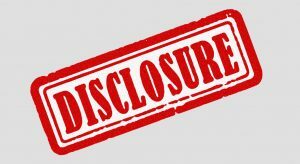 SB 1235, which overwhelmingly passed the State Legislature and Senate on August 31, 2018, mandates that certain “providers” of “commercial financing” provide a list of disclosures to a class of “recipients”. Subject to exceptions, a “provider” is any person who provides commercial financing to a recipient. “Commercial financing” encompasses a broad array of extensions of commercial credit, such as (a) loans in a principal amount of $5,000.00 or more for which the proceeds are primarily used for commercial purposes, (b) accounts receivable transactions (including factoring), and (c) asset based lending. A “recipient” is defined as a person who is presented with a specific commercial financing offer by a provider that does not exceed $500,000.00. The new law will not come into effect until after the California Department of Business Oversight has adopted final regulations to implement it. Given that the next California election is in November 2018, it is unlikely that any regulations will be implemented until after the next Commissioner of the Department of Business Oversight is sworn into office, so the earliest possible effective date would be January 7, 2019. The total cost of the financing expressed as an annualized rate. The law will sunset on January 1, 2024. However, except for the provisions regarding the total cost of the financing expressed as an annualized rate, the remainder of the law will automatically become operative again on January 1, 2024. The new law does not apply to (i) a provider that is a depository institution, such as a traditional bank, (ii) a provider that is a lender regulated under the federal Farm Credit Act, (iii) a commercial financing transaction secured by real property, (iv) certain dealers covered under the California Vehicle Code, and (v) any person who makes no more than one commercial financing transaction in California in a 12-month period, or any person who makes five or fewer commercial financing transactions in as 12-month period that are incidental to the business of the person relying upon the exemption. While SB 1235 will not be effective until the regulations are implemented by the Department of Business Oversight, once the regulations are issued, it will be imperative for any providers of commercial financing to recipients to comply with the statute and the regulations once they go into effect.